Following four days of AFN (Away From Network – I did use a keyboard though), I realised that digg.com dugg me and AJAXian once again linked me. Well, not me but the From DHTML to DOM Scripting article. I also realised that AJAXian had the unfortunate wording in their post that I might have meant that with the article and the comments on the AJAXian post were an interesting read indeed. However, digging deeper (oh dear), I found that this is an no-barriers-handbags-out-geek-fight topic at the moment as many AJAX enthusiasts and heavy load web application developers (the applications are heavy load, not the developers) rightfully like innerHTML and consider it a necessary and good solution for a re-occuring problem. 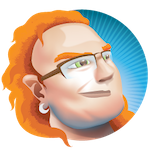 Jeremy Keith started it, daring to call innerHTML proprietary in the painless code creation with DOM builder post at the DOM scripting task force blog. Jonathan Snook responded quickly and wondered what’s wrong with innerHTML. We all know that Jeremy had been in a painful love/hate relationship with innerHTML for a long time, as he outed himself in December talking about his innerHTML dilemma. He is not the only one with this problem, as Ryan Campbell of Particletree also considered different methods than innerHTML in April calling it Changing the DOM. This is all well and good, but is it really that much of a problem? My “I like to chime in but I really just want to keep the fight going and not get involved myself as I forgot my handbag” award goes to Dustin Diaz who kept the comments closed on his blog entry on the subject called innerHTML and DOM Methods. So why post at all then? Why not just comment on Jeremy’s blog? Well, for what it’s worth. It’s about the user. innerHTML is plain and simply faster. Yes, it’s non-standard, but so is xmlHttpRequest. Sure, I know the W3 is developing a working draft on xmlHttpRequest… I say, let’s standardize innerHTML. Not to mention, it would be easy. Everyone already knows how it works, it’s simple to use. It’s fast. It’s already supported across major browsers. Hey, just so we feel better, why not call it innerXML. That way it’s future compatible when xml becomes more of a standard and better supported. You have no way of telling someone how to make own pot noodles when there is no shop around their area that stores them. So by all means: Use innerHTML when speed or ease of use is an issue, but don’t forget that the DOM offers a lot more than just changing HTML documents in a browser.